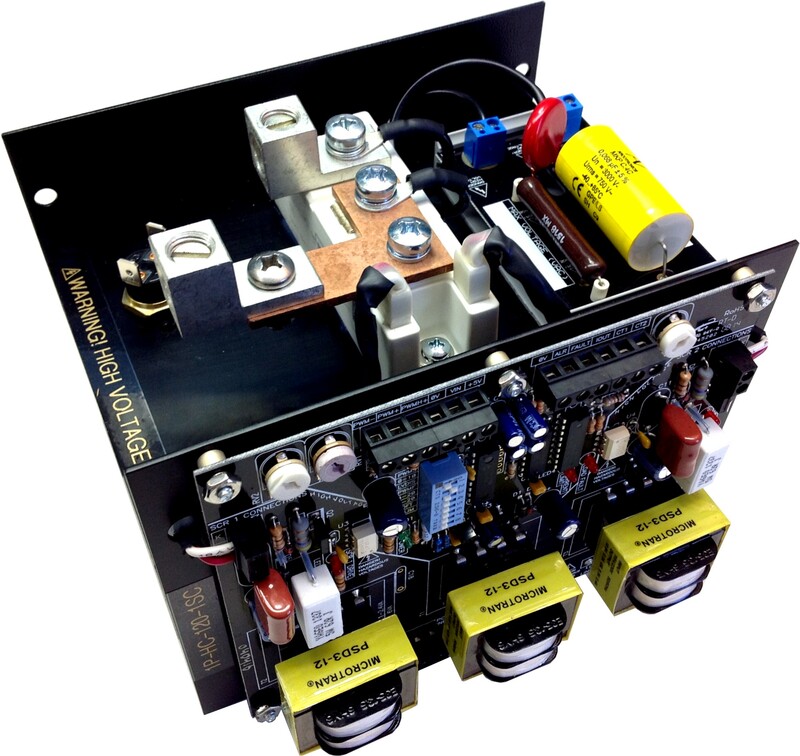 The microprocessor based 1P-HC SCR Power Controller is a compact panel mount package that provides linear phase angle control of the load. The output power is based on the command input and the current transformer feeback. The input can be dip switch selected from seven different industry standard inputs. Specially designed driver circuitry and snubber networks allow reliable control of inductive loads.